My current Lian-Li has served me well for the best part of 10 years. Ditto the FX8350 which has been in there working tirelessly for about 4 or 5 years at 4.8Ghz. Time to move on. Budget will be around the €2000 mark spread over 5 months. My want is a TR4 platform setup but my need is probably AM4 so we will find out over the next few months whether or not head rules heart or not. 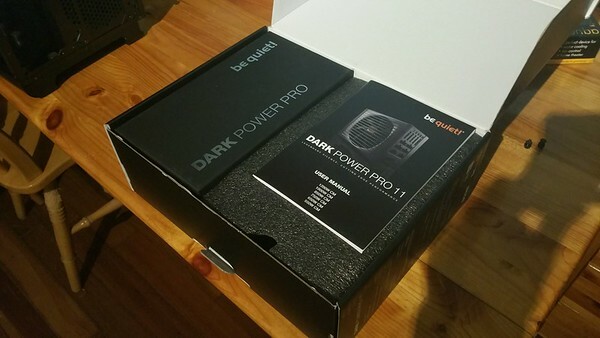 Power - The heart and soul of the system: I will start as always with what is going to power the system and I decided on a be quiet Dark Power P11 850W. But Seasonic is better or SuperFlower is better still and you can control a Corsair RXi - yeah probably but I have used be quiet Dark Power for the last 7 / 8 years in my own builds and the few that I have been persuaded to do for family and friends and they are all still running... and they are quiet, as in mouse fart in a church quiet and by in large I like to support UK / EU design where possible. Case is next up. I have had a Lian-Li A70B for about 10 years now and it was a great case for its day but that day has moved on. 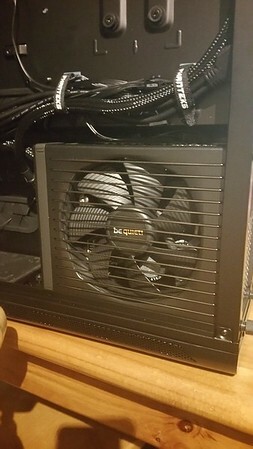 I want something easy to use, big and heavy enough so that my 2 year old daughter can't knock it over and fit all the stuff I want into it - like rads, fans, fan controllers, pumps, drives and a graphic card or two. Case Labs I hear you say.. See my budget I answer, yep Caselabs are probably the Rolls Royce of cases but once they leave America their prices go nuts. Lian-Li don't have anything in their range that I like and I won't touch the Thermaltake rip offs. 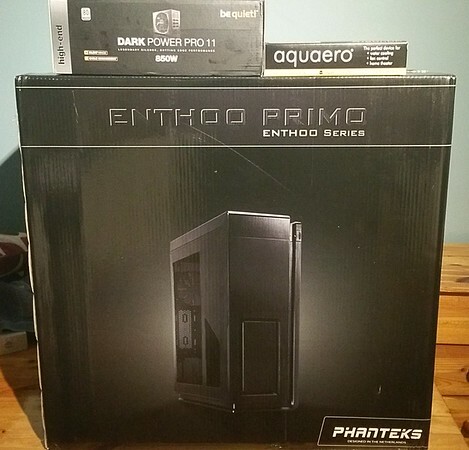 I ended up picking the Phanteks Enthoo Primo as successor to the Lian-Li. 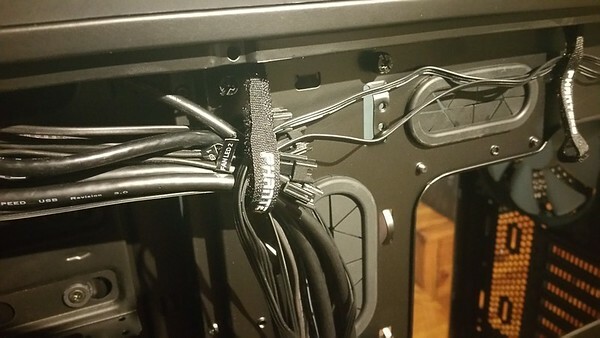 All black, not as well built as a Lian-Li it has to be said (in fact I get a USSR vibe to some of the fit and finish in some parts) but for a watercooler or someone who has stuff to pack into a case then the Primo has some very nice intelligent solutions. Cooling - EK is my go to man for waterblocks since I swapped out my original Asetek many moons ago. I still have an original supreme up in the attic somewhere I generally plumb for the Acetal finish, I like dark and foreboding.. I have a EK Supremacy (non EVO) and I have ordered the AM4 upgrade set to cover all bases. 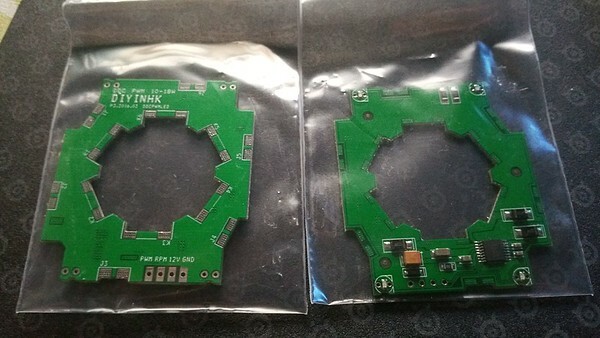 Pumps will be DDCs but modded with the DIYHKINK Toshiba chipset which gives more power but also PWM control, these will be mounted on an EK Dual DDC V2 top which in turn has the discontinued adaptor to allow an EK Res to be fitted. 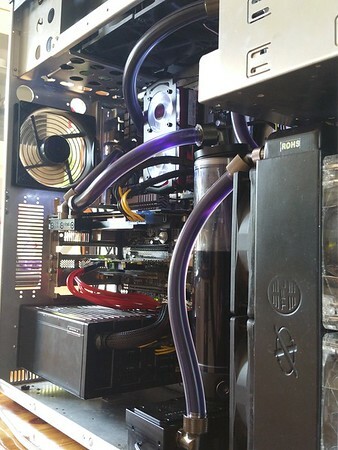 My EK RES is 250mm. I will run an EK EX240 rad at the bottom, picked because it has ports either side of the chambers, this will allow be to plumb in a drain setup easily and I have an XSPC RX360 V2 which will take over the top duties. Fans will be Noiseblocker PL2 (1400rpm) which have served me well for the last few years. 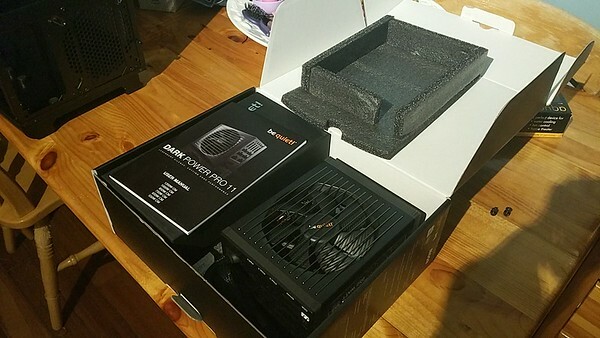 So that is where I am at the moment, I have just unboxed the Primo and PSU, cooling is sorted in my head and I have 32GB of Samsung B-die memory, a Sumsung 950Pro 500GB M.2 card and 2 x Toshiba 4TB drives. I don't know if I am doing it backwards or not in that I am sorting the power, casing, cooling first before getting that bits that will need powering and cooling but it allows me to have a good hard think about fitting and routing etc, etc. I kicked off rebuild this morning at about 11 stopping at 4 to pick up our toddler from creche at 4. 2700X hidden under a wraith prism rgb and a standard Vega 64 in standard config. Tidy enough considering that there is an Aquaero 6LT hidden on the reverse of the panel on the right and it is fully hooked up. EK FC Vega 64 with standard Acetal top + the RGB upgrade version. Now to offer up a Vega 64! A bit of cleaning later and we have this..
Found some rust on the chokes underneath the power supply area. Looks like the previous block was rubbing and took the paint off. 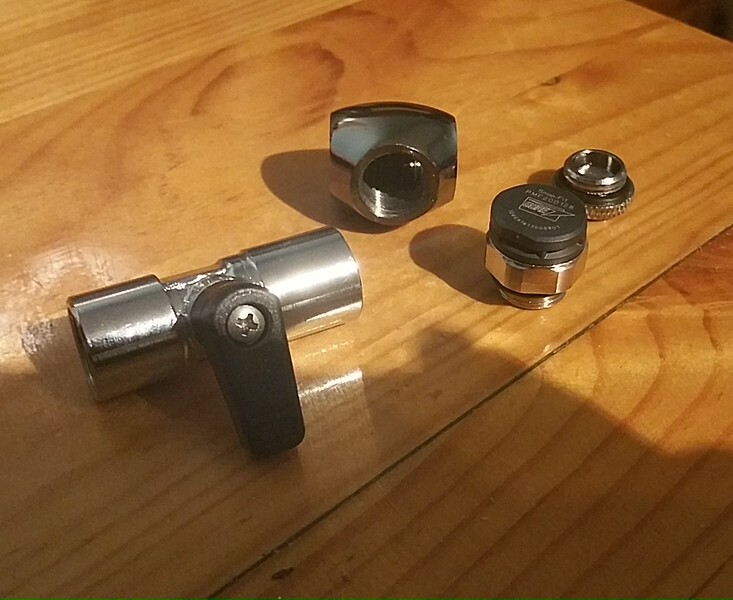 Rad Time | The EK XE240 will be on the bottom because it has 4 inlet / outlets of which 1 will be used as the drain. 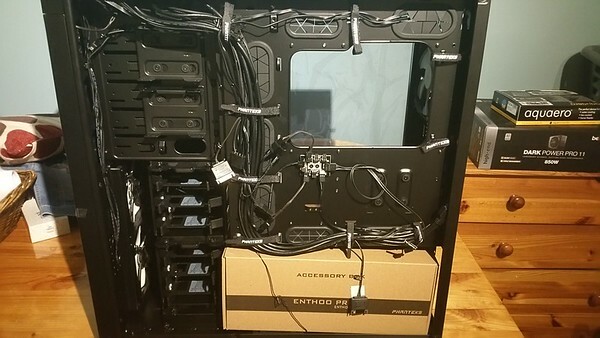 I have just about enough room to feed the tube through the rad mount. I'm trying out Alphacool fittings this time round, replacing a mix of XSPC and some no name jobbies. First impressions are pretty good. And the EK Velocity matches nicely with the Asus Prime decor. Finally figured out pump placement. 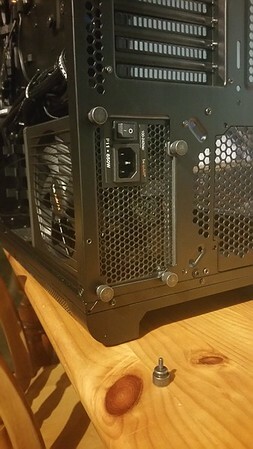 I had bought Aquacomputer's D5 bracket which is the most unusable piece of design I've come across in a long time, so ditched that and I've mounted the D5 directly to the case at a very slight angle to miss the Vega64. Nice work. Loving this build log! Cant beat a proper build log! Kudos dude! Once everyone had gone to bed I had the kitchen back to myself so shifted everything back down (I had to put everything away out of sight - the little one is 2 3/4s and into everything) and was banging my head against the wall as to where to mount the pump with the Aquacomputer mount which is the weirdest thing going. So at about 2am I had this after starting at 11 (I'm slow I know but its so relaxing pottering about putting a bit here and changing your mind and shifting it about) - Oh and the 140 fan is loose because I need to fill the res. 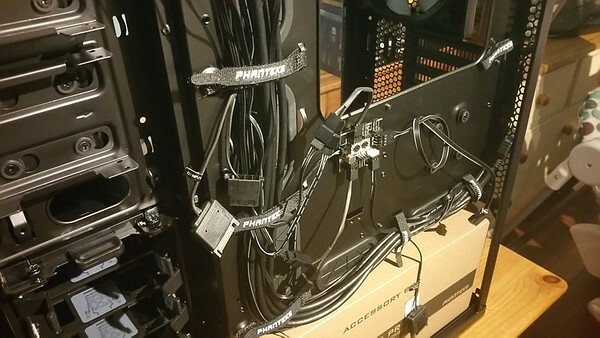 Couple of things to note, while pondering pump fitment I stole the hot swap bay from my Lian-Li and once I find the screws to mount the drives it will be staying so that is an addition. The EK Coolstream XE rad is a good little job but it does have a flaw and that flaw is the recessed G1/4 holes so either use proprietary EK fittings (I presume) or you're into that land of extenders. I suspect that is where my issue is. I am using a Alphacool 90 deg fitting without an extender and probably have not secured the seal properly on the drain pipe as mentioned yesterday. Another little update with loads of pics. 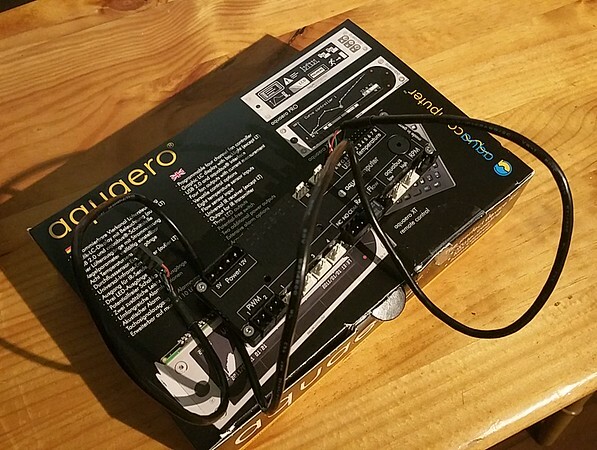 I am dumping the EK Coolstream XE 240, just don't have any trust in it anymore. Removed from case, went straight to where I thought the leak might be and its as dry as a bone. My next thought was that maybe I had screwed into the rad itself attaching the fans? Nada, each was clear. A fat Mayhems 240 rad and onwards we go. Might get some more time later to have a go and will post up.